architecturasl style of armidale teachers collegepedagogical brilliance of margaret mackiethe hinton art collection at armidale teachers collegewhen was armidal teachers' college built?where is Armidale situated? I didn’t really appreciate the buildings of the college at the time we were there: their architecture, furnishings and art works. We were truly blessed with the opportunities to observe and absorb these things in our daily lives. I don’t know which had the greater influence on me: the communal living, the social aspects, the great teaching or the physical surroundings. I cannot express how much those two years meant and still mean to me; the wonderful people I engaged with and the standard of education we received. The experience was excellent and formed a wonderful base and springboard for my development as a person and as a teacher. I am so pleased I chose to apply for placement at Armidale Teachers College and even more pleased that my application was accepted. Yes, I only had that full realisation when we went back for the Reunion. That’s when I paid a visit to the College Art works and saw how amazing they were. And when I realised that, even though I was carrying unwanted “baggage” from childhood, a lot of ex-colleagues remembered me and triggered positive memories in me too. As you say, it’s all part of our ongoing development as mature adults. Some of those teachers were the best of my whole career, spanning decades. We truly were blessed. 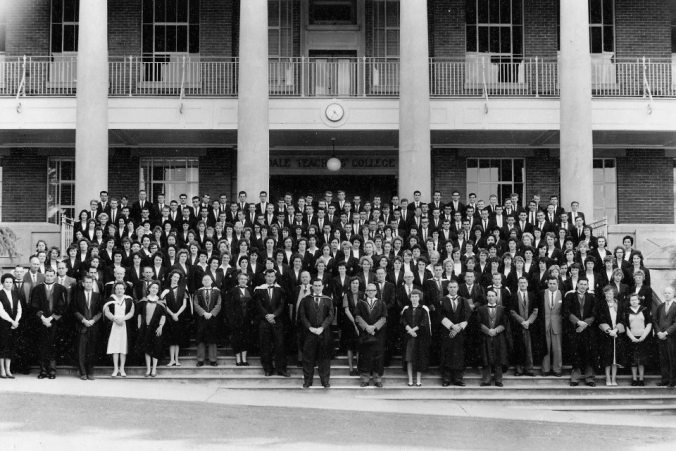 Visit The Class of 1961-62. 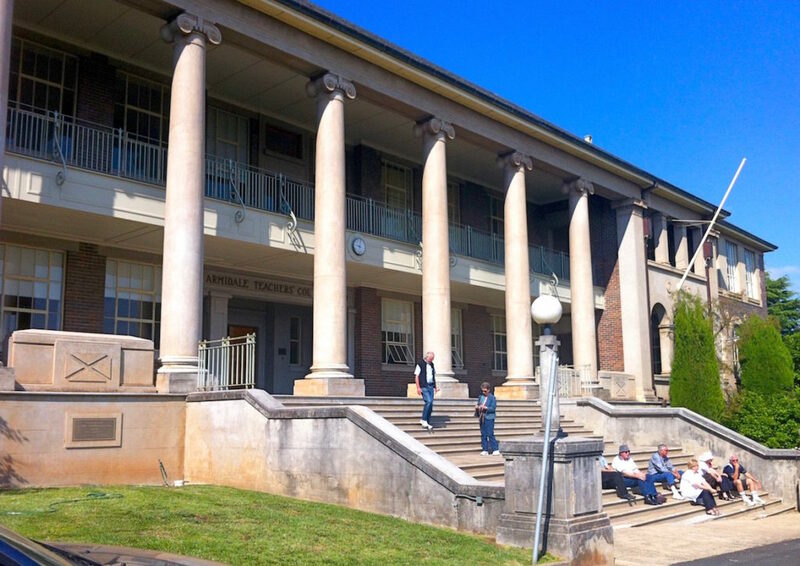 Armidale Teachers’ College during those years, and indeed our formative years, was a wondrous time.It enriched our lives forever.Subjects that I had never studied like classical music, art history and appreciation, biology and psychology opened my mind to the love of learning. It made me want to pass this joy on to others, my students. And never stop learning. Thanks for this, Roger. I agree wholeheartedly. All the friends I made there, I’m still in contact with on some level. I congratulate you on your amazingly large, close family relationships. : you two were meant to meet and to be together. My two years at ATC 62, 63, were the highlight of my life. Who could forget the Saturday night dances in the gym, with Bing playing the music,and waiting to be asked if someone could walk you home to SmithHouse? I have had a teaching career of over 50 years, they sure taught me a love of learning. Hi Colleen, So lovely to hear from another ex-student who was there around the same time as me. Yes, fantastic memories. 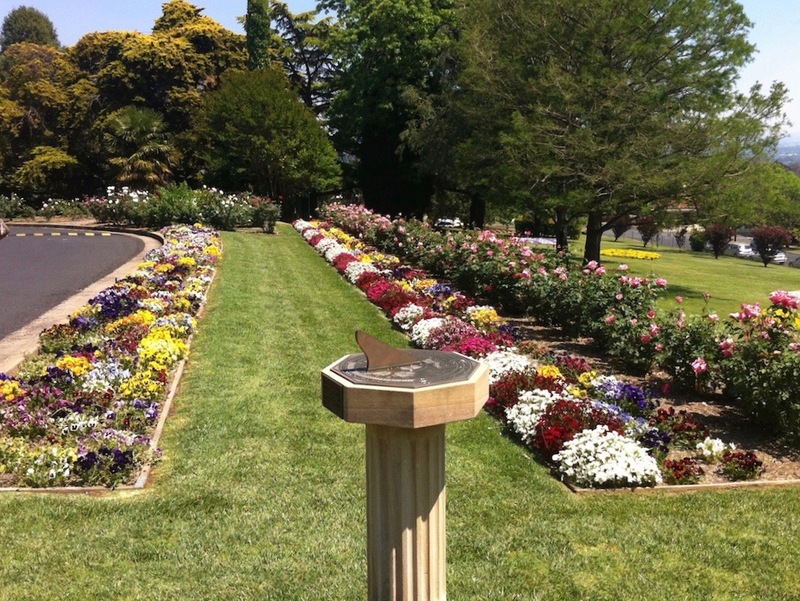 I attended a 50th Reunion in 2011 in Armidale; a huge affair for the organisers, but well worth it. Keep in touch and tell me more about yourself. I live in Coogee, married with two grown-up children and six grandchildren.